Today the Oxford Village Tree Board has planted over 200 trees. 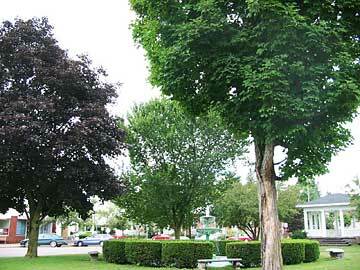 The Village has a budget allocated for a certain number of trees planted annually. They even have their own tree nursery located on South Washington Avenue (behind Head Start). Approximately 30 trees are growing there, awaiting maturity, when they can be planted among the specially selected trees in the Village. Arbor Day isn't the only time when the Tree Board arranges tree plantings. "Make A Difference Day" the national day of doing good, created by USA WEEKEND Magazine, takes place on the fourth Saturday of every October. It is a day of helping others. Each year on this celebrated day, one of the area's youth groups, such as the Oxford Boy Scouts or the Oxford Youth Center, volunteer to plant Village trees. In November 2003, former Oxford Academy High School Agriculture Instructor, Dale Johnson coordinated the planting of 17 trees with the help of the kids. Cooks Tree Service is called upon now and then, for tree trimming and removal. The situation is improved according to Jeffrey Cook, but as he said, "...some big old trees could still use attention". He understands that the Village can only take care of the more hazardous ones, as the budget allows. But it's his professional opinion that Oxford is "...making headway. It looks much better." he stated. The Village Tree Board consisted of five seats until October 2005 when Jeanie Petersen was added for advertising & publicity. See the Village Government listing for the current members. The Tree Board meets once monthly, or twice per month if a special event (like Arbor Day) is upcoming. The care of the trees and beautification of the Village are the common interest and concern of all the members. The Tree Board started a Memorial Tree Program for Oxford Village homeowners. If a homeowner has a suitable "sidewalk to curb" location, and they would like to make a ($500. approx.) donation, a tree can be planted as a living monument, "In Memory of" a special person; in celebration of anniversaries; a birth or special birthday; and/or special events. 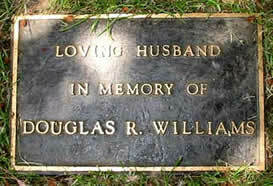 A custom-made brass plaque will be attached at the base of the tree, with their dedication. Village residents can contact the Village Hall to make arrangements with the Tree Board.